As promised, my healthy weight book called, A Model's Guide to Losing Weight Without Dieting is now available in hard copy here. 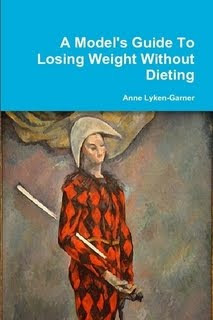 ‘A Model’s Guide to Losing Weight’ is a workable solution to banish nagging weight issues and keep them gone for good. It’s a powerful, new guide. It hands over responsibility to the readers by inspiring them to attempt the lifestyle changes even before they’re introduced, and gives them the option to move at their own pace. This innovative weight-loss programme teaches a way of life, not a diet. It coaches readers on issues of portion control, a new system of mind-training, and sustainable physical activities, with no strenuous exercises. This is a clear, easy-to-follow, step-by-step plan with solid psychological reinforcements. It offers the readers the option to personalise the steps for individual tastes. I wish you great success in the new coming year.. I inclination not acquiesce in on it. I over polite post. Expressly the title attracted me to read the intact story.